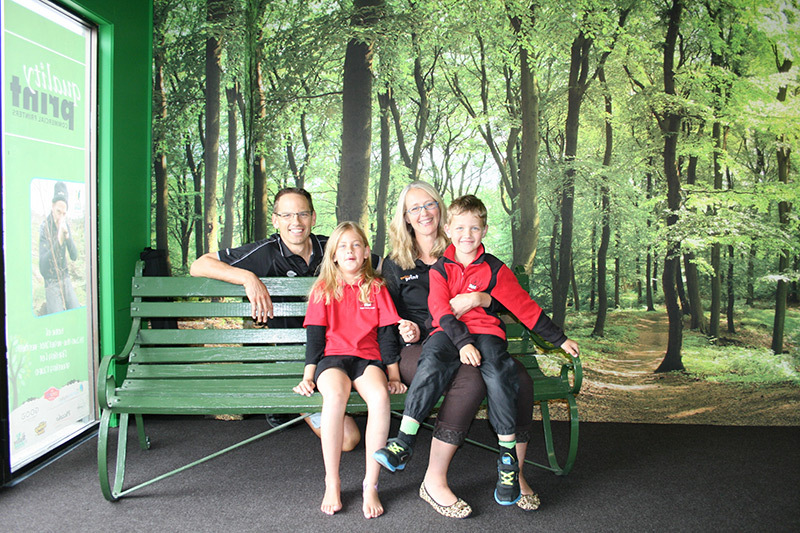 Quality Print has always been involved in Taupo's community. It began in the late 1970's when two men started a community newspaper. Still known as the Taupo ‘Weekender’ it was first printed at Quality Print, although financial viability eventually meant that the newspaper's production went elsewhere. Back then, the owners of Quality Print were hard-working and from the trade, not dissimilar to today in fact. In 1986 Shawn Vennell was employed at Quality Print as a sheet fed printing apprentice. He's been around the business quite a while and saw it through the growing pains of the late 80's when the business moved to its present location at 6 Runanga Street. 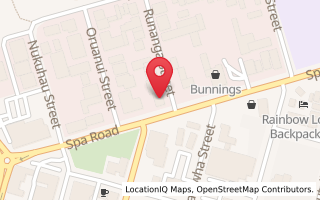 What followed was a dark time in the company's history involving receivers and uncertainty before being re-created by an entrepreneur who had bought the Runanga Street building in a fire sale only months before Quality Print moved in, hoping they would be a worthwhile tenant. It was a good bet. In July 1993 Rex and Rebecca Mathieson purchased Quality Print outright. An integral part of their business plan was succession and early on they involved Shawn Vennell, promoting the idea that he would one day be a partner in the business. In 2000 this vision became a reality. In 2008 Shawn and his wife Cathy purchased the Mathieson’s half share in the company and now own it outright. "We very much enjoy owning and working in this wonderful business that we've helped to build. It's been a 32-year career for me and wonderful to have Cathy involved for 16 of those great years." We currently have ten full time and three part time staff who all share and contribute to a great culture that we've built our reputation on. The relationship we have with our team goes a very long way to help meet our printing deadlines with big smiles even when the deadlines are tight! Change is a constant and in our commercial printing business we're always working to keep abreast of trends and technology, and we reckon we've done a pretty good job of it. We embraced digital print early on and have been growing this platform for more than 17 years, most recently updating our wide format poster and light signage capability. It's great to be able to offer long run traditional offset printing from our Ryobi presses or manage a quick turnaround job off our digital platform, including HP Latex wide format. Industry training is vital and we support and encourage professional development, especially for our young trainees and apprentices. We're proud of their achievements and a recent apprentice graduate is now undertaking a Diploma in Print Management. Since completing my own apprenticeship in 1988, I've brought six apprentices through their training, confirming my belief in the trade training apprenticeships 100%. It’s a great way for young people to earn while they learn. I support this view in my involvement with Taupo Pathways and assist this great organisation with presentations and planning strategy. Quality Print is environmentally-focussed and in 2000 we engaged in a Carbon Save programme, with the aim to set and meet higher environmental targets. We use soy-based inks and practically all our paper is sourced from sustainably responsible chains of supply.